cooking is dangerous. knives are sharp. stoves are hot. kids are curious, and like to interrupt. ooh. was that a haiku?? right. so from the level of distraction here, you may already be able to tell that cooking isn’t really my jam. not only is it unsafe (scolding pans!) but it’s not that fun. it feels more like a job nowadays. and who am i kidding, josh is the better chef in the house. i will also credit lousy counter space and wobbly cutting boards to my dislike for the culinary arts. damn you charming old af apartments. the line up. everything is from trader joe's. 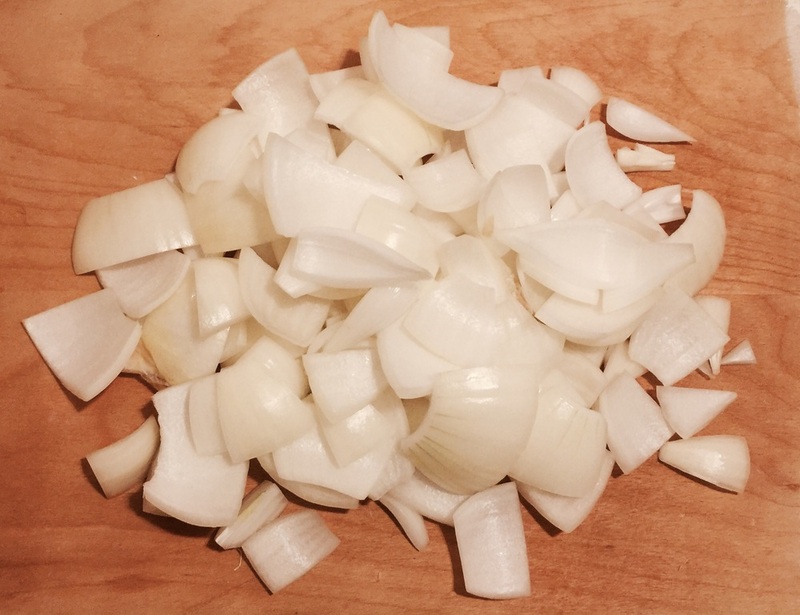 all together this will set you back about $15 and yields 5-6 servings, more if you use this as a side dish. we like to taste big bites of all the main players, so i recommend chopping the onion into large pieces. same with the garlic. but be careful! sharp knives i said!! dude. 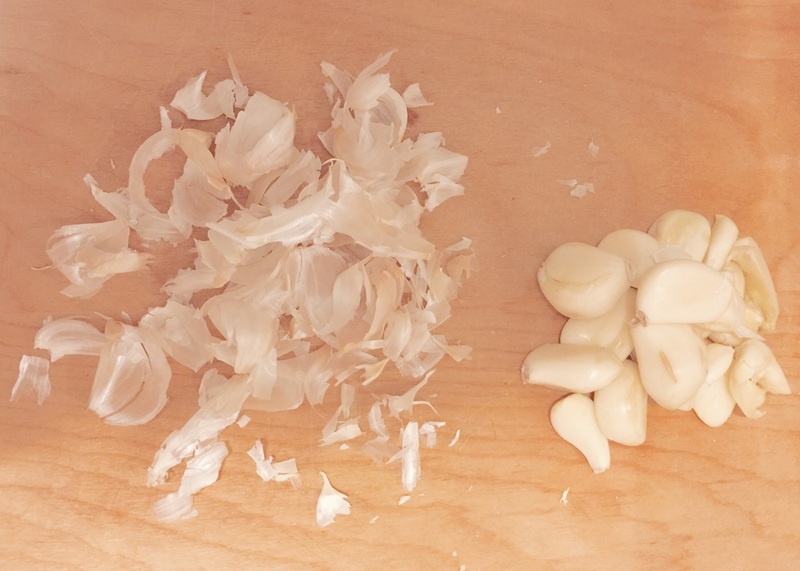 chopping garlic. definitely a necessary evil. but aren't the garlic skins oddly beautiful? salt. don't be afraid of salt. two small palms of it. trust. any less and you'll just be adding it later. now this part actually makes me start counting all of the calories i just poured into this pan. but just do it. it's good calories! then bake that sucker. for best results, it should cook for at least 3 hours. so handle bath time. color. watch toy story for the millionth time. on weekdays i don't have that kind of time and will make this the night before and reheat it the next day for dinner. now didn't i tell you cooking was dangerous. poor cheeky. he nearly sliced his finger off chopping the garlic for me. luckily we couldn't taste any of the blood. ew. and with that i hope you give this a try. it will not disappoint. and i'm out!